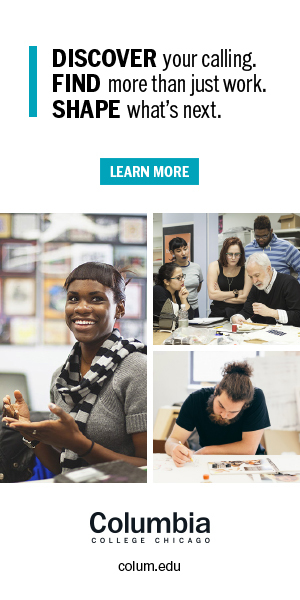 Located in South Loop Chicago, Columbia College is a small liberal arts college with a current enrollment of almost 10,000 undergraduate and graduate students. Established in 1890, the school was originally the Columbia School of Oratory with curriculum focused on public speaking. Over time, public speaking came to include studies in the field of radio broadcasting, which then segued into a broader focus on arts and media. While the school went through several name changes, it was renamed Columbia College Chicago in 1997, which remains its current name. 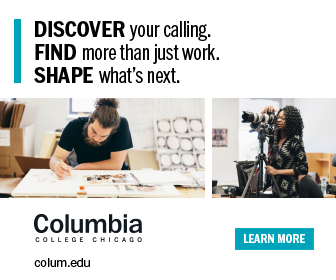 Today, Columbia College is one of the best schools in the country for media arts, with exceptional programs in fine & performing arts and liberal arts & sciences. The Columbia Chicago Chronicle is the unofficial school newsletter for the college with contributions from both alumni and current students. Read the latest about school happenings, alumni events, what’s going on in South Loop and greater Chicago, and more. To get the Columbia Chicago Chronicle directly in your inbox, please sign up for our email delivery! If you’re looking for the school’s official news publication, please see The Columbia Chronicle. Columbia Chicago Chronicle, www.ccchronicle.com, has no affiliation with Columbia College Chicago or The Columbia Chronicle.